There’s a better way to name your baby. Nymbler takes into account a world of baby-naming knowledge and an understanding of your personal tastes as it searches for names. 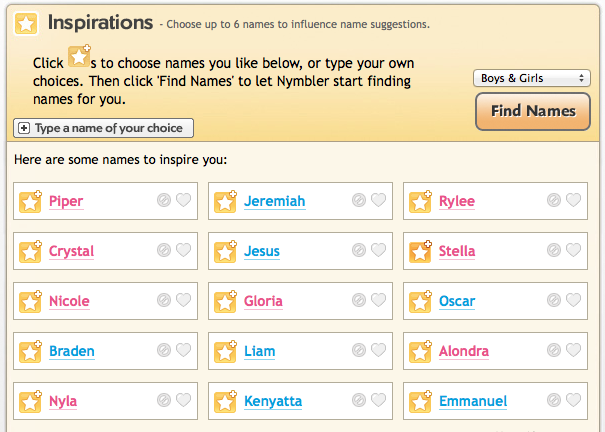 The result is a host of personalized suggestions for the perfect name for your new son or daughter.